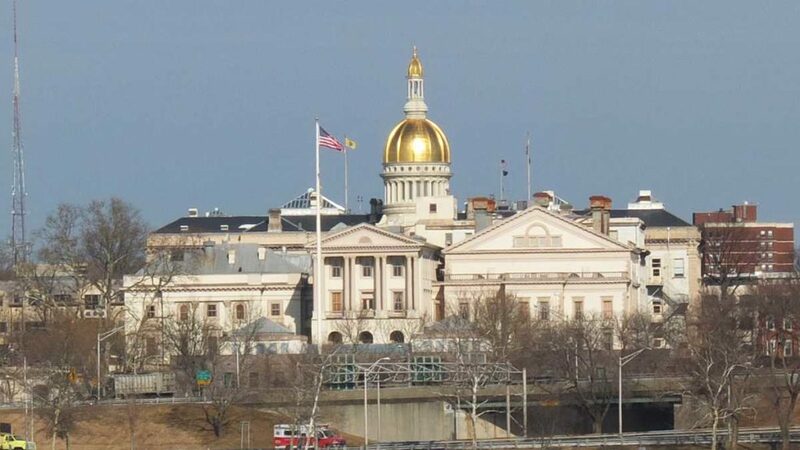 TRENTON, NJ (October 17, 2018) – New Jersey wine enthusiasts would enjoy the same freedom of choice as those in other states under legislation unveiled today to reform the state’s outdated laws on winery-to-consumer shipping. New Jersey’s Free the Grapes! campaign launched at a State House press conference today that included national leaders of the effort. The bills — S 2496, sponsored by Sens. Declan O’Scanlon Jr., Vin Gopal, Kristin Corrado, and Gerald Cardinale; and A 3867, sponsored by Assembly members Serena DiMaso, Andrew Zwicker, Robert Clifton, and Jamel Holley — would allow New Jerseyans to have their favorite wines shipped to their home or office from any U.S. winery obtaining a license to ship to New Jersey. New Jersey is one of only two states that limit consumer choice by allowing some wineries — but not others — to ship their wine based solely on how much they produce per vintage. Arbitrarily, New Jersey law imposes a “capacity cap” that bans wineries producing more than 250,000 gallons a year from direct-shipping to consumers in the state. Wineries or wine companies that, in aggregate, produce less than that amount can ship to New Jersey consumers. Under the Free the Grapes measures, there would no longer be a capacity cap. The shipping privileges for wineries under the cap, which includes all of New Jersey’s producers, would not be affected as they already can ship directly to New Jersey consumers. New Jersey’s capacity cap denies New Jersey consumers access to direct shipments from wineries and wine companies that craft 96% of all U.S. wine. In 45 states and the District of Columbia, adult residents can order from any U.S. winery that buys a permit to ship to that state, regardless of its size. Ohio is the only other state with a capacity limit on direct shipments from wineries to consumers. Free the Grapes-NJ is part of a national campaign by wine lovers, wineries, and wine merchants seeking to remove restrictions on consumer choice. Among recent victories: In 2016, Pennsylvania ended various restrictions on winery-to-consumer shipping in the state; Arizona removed its 20,000 gallon capacity cap in 2016; and this month Oklahoma became the 45th state to allow wineries to ship directly to consumers. Removing the barriers to winery direct shipping won’t just help consumers. New Jersey stands to gain $4 million a year in revenues from the sales and excise taxes wineries would remit to the state and the license fees wineries would be required to pay, according to research by the Eagleton Center for Public Interest Polling at Rutgers University. “After extensive discussions with all stakeholders in the debate over our relaxation of wine shipping restrictions I’m confident that there’s room for improvement that’s fair to all,” said Senator O’Scanlon. Other states’ experiences show that removing barriers to winery-to-consumer shipping doesn’t hurt local retailers or wholesalers. Legal, regulated shipping can actually boost local sales for wholesalers and retailers when consumers enjoy wines not yet available in stores and ask their retailers to stock them. In many cases, consumers order from a winery after visiting, and then find out a wine they enjoyed isn’t stocked by local retailers. In 2005, a U.S. Supreme Court ruling banned states from discriminating against wineries based on their location. States had to either allow both in-state and out-of-state wineries to ship, or none at all. Initially, New Jersey’s response was to ban all shipping. Then, in 2012, state law was changed to partially allow shipping, with the 250,000-gallon capacity cap determining which wines consumers could order from wineries. According to the industry publication Wines and Vines, There are more than 9,000 wineries in the U.S., accounting for 100,000 individual products each vintage. Those producing 250,000 gallons a year (106,000 cases) are considered mid-sized wineries. Additionally, many of the wineries limited by New Jersey’s capacity cap are small, boutique labels owned by larger companies. In determining eligibility under the shipping cap, New Jersey uses the total production of a parent winery, not what a small subsidiary produced. Free the Grapes! is a national coalition of wineries, consumers, and retailers aimed to augment, not replace, the existing three-tier distribution system of producers, wholesalers, and retailers with legal, regulated direct-to-consumer wine shipping. Founded in 1998 by wine industry associations, Free the Grapes! believes that consumers, not special interests, should decide which wines to purchase and how. Legal direct-to-consumer wine shipping expands consumer choice and helps America’s mostly family-owned-and-operated wineries succeed. To learn more, visit freethegrapes.org and find Free the Grapes New Jersey on Facebook.